New Month equals new box! 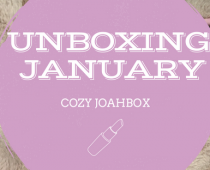 For this February Box, you could actually received two versions : Treat Yourself X JoahBox and JoahBox X andLab. 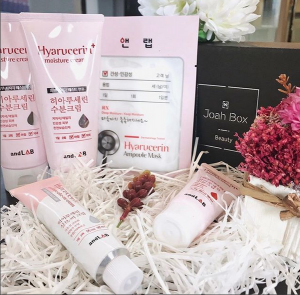 Two versions of the box for the same result : Keep your skin hydrate and smooth during cold winter thanks to korean skincare products! Damage tips ? Dry Roots ? 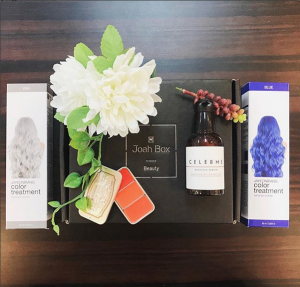 The Jayeonrang Color will repair your hair adding non-permanent color. How does it work ? Wash your hair with your regular shampoo, but do not use your conditioner. Then rinse your hair with water thorough and use a towel to dry them. After on dry hair, apply the product using the vinyl gloves. 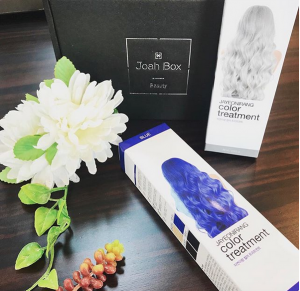 You can apply the treatment on your roots or your hair tips depending on the treatment required. Rinse thoroughly the product using lukewarm water and let the hair dry completely. It is also recommended to put a towel on your shoulder to avoid stains in clothes ! 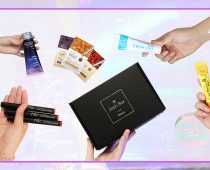 Why are we crazy about this product ? Color Hair Treatment are trendy nowadays in Korea. They improve your hair texture by adding some color. Do not worry the color will fad away in few washings! 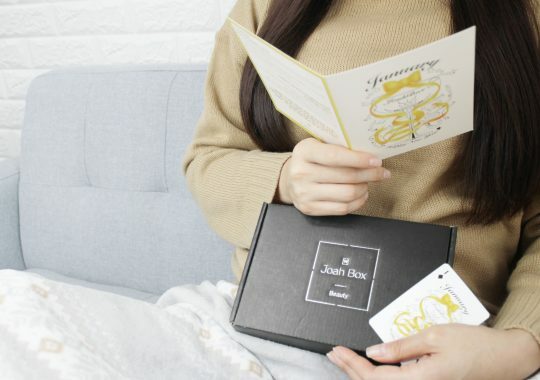 From the beauty line of the famous clinic in Seoul, this mask is the perfect rejuvenating for your skin. It contains nutrients to make your skin smooth and everlasting hydrate. An Aloe Mask! 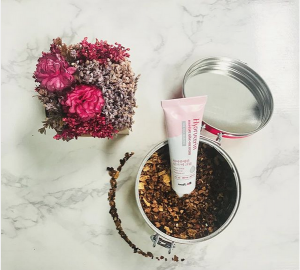 This facemask is the perfect companion for your skin hydration. Your skin feel thigh and dull after a long and stressful day? Just pull on your mask and relax for 10 to 20 minutes. You will feel revitalized with a make-up ready skin. Why we love it ? Aloe Vera is one of the main component of the K-Beauty! Cream, Face Mask, Gel, impossible to miss it! Troublesome or sensitive skin ? 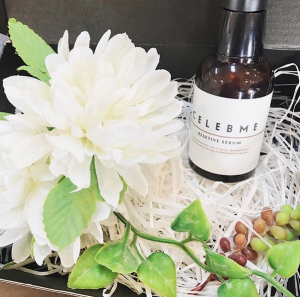 The Celebme serum use plant extracts to smooth and repair the damaged skin. Use it after toner, the serum will provide revitalizing effect and home care solution for skin issues. Ready for a peachy look ? 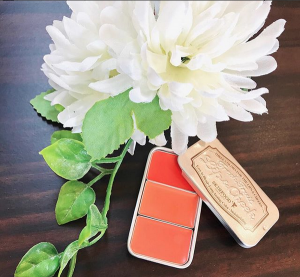 This three color palette can be used on lips or cheeks. So easy to blend on your face, layer the tint to obtain an intense color. This cream is the perfect tool for sensitive skin. With its natural moisturizing agent, this cream doesn’t let your down. Perfect for a daily care, it hydrates all the layers of your skin. You can also find in your box the travel size, perfect for your vacations! A highly moisturizing salve cream. It helps create a protection film on dry skin and keep it hydrated for a long time. 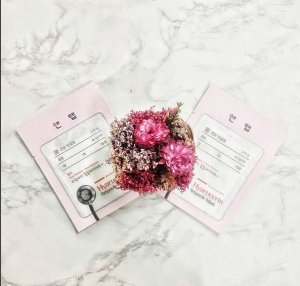 This super rich moisture ampule mask is going to put a stop to a vicious circle of dry skin. This mask is like your second skin. It contains natural hydrating nutriment for deep moisture.